Author: Wright, Eric Set In . 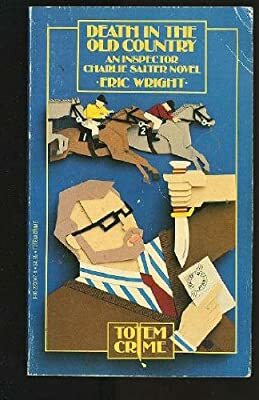 . .
Eric Wright's popular detective, Charlie Salter, is introduced in this collection of the first three books in the well-loved mystery series: The Night the Gods Smiled, Smoke Detector, and Death in the Old Country. Self-righteous and outspoken, Salter has gotten himself shunted to routine duties from what he considers the "real" police work of investigation. However, circumstances give him the chance to redeem himself, and his intelligence and sensitivity guide him through the cases that follow. Interwoven in the detective work, Charlie's wry humour and perception and his personal relationships and family life add extra dividends and enjoyment for the reader.